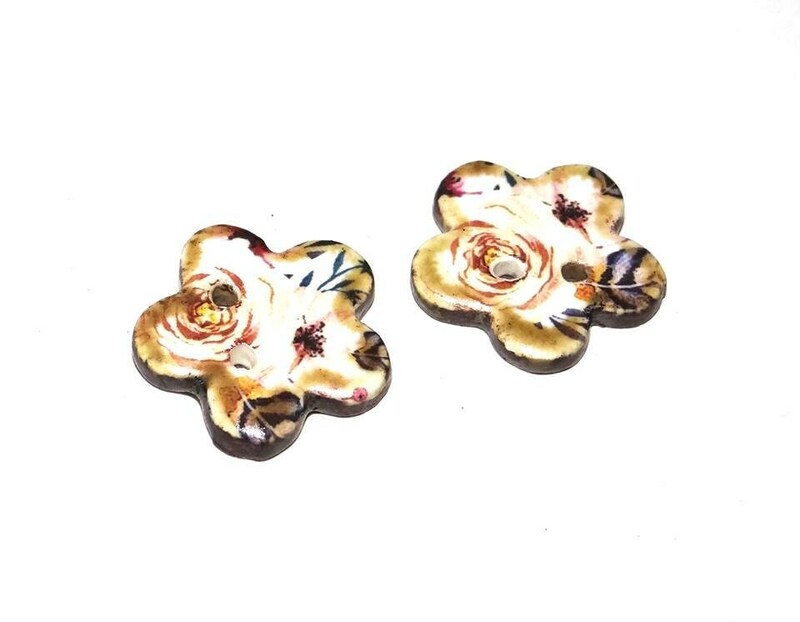 Ceramic charms for earrings. Approx 20mm in length. White spots on charms are flash flare, image is complete.